I just wanted to let you know that the stacked OB11-3 OptiBeam with your baluns and Stack Match are just phenomenal. I just can’t tell you how thrilled I am with everything. The SWR is 1.2 or less across the bands and the construction of the beams are beyond compare, they are built like a tank with the best engineering I have ever seen. The flexibility that the Stack Match gives me is just awesome. It is so much fun breaking pile-ups on the first call and hearing, wow you’re strong over and over! It’s just amazing how well this set up works. Thanks very much to Tom and you for your outstanding help. I’m a customer for life! These antennas are just awesome. All of my signal reports are over S9+ with a 60 over last night from Costa Rica. Had dozens of 35 over reports from Europe!!! 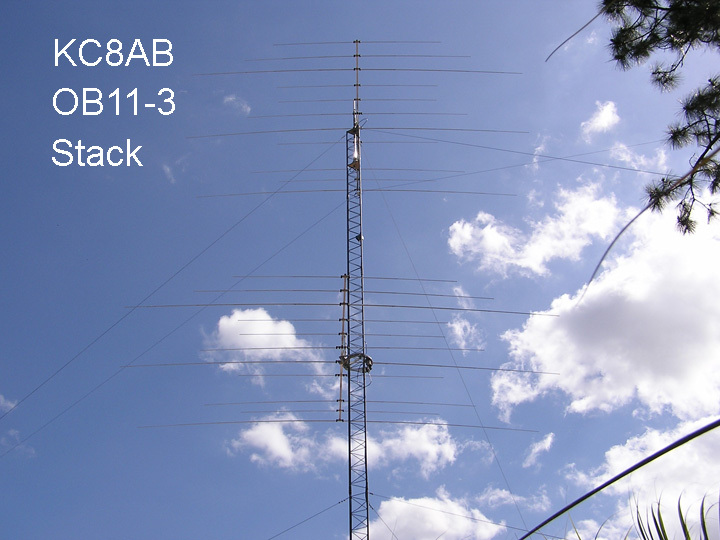 On average, these antennas out perform my OCF dipole at 70’ by 12 to 15 dB when compared to each signal.